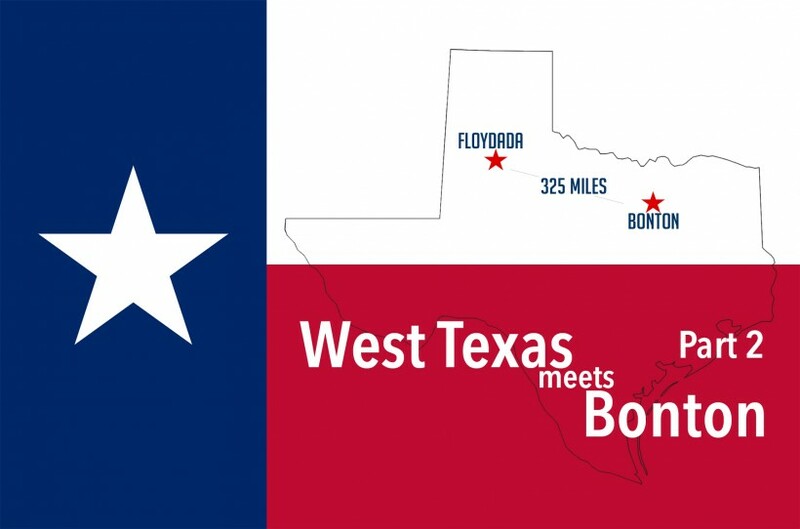 In the first installment of West Texas meets Bonton, you met a group of men from West Texas who have mobilized their networks to provide equipment and compost at Bonton Farms. David Davidson is another of the original group that visited and fell in love with the ministry happening in Bonton. A farmer and rancher by trade, David helped bring equipment and prepare the land for the spring planting. David lives in the rural area near Childress, Texas, a town with roughly 6000 people, a stark contrast from the booming metropolis of Dallas. Despite the difference, he saw a similar need in his own backyard and an opportunity to be a part of what God is doing. “I realized after I got back we have the same people in this town that they have in Bonton,” says David. “We have poverty here, we have people that are hungry to hear the Gospel, and they’re not going to church, they just don’t feel comfortable walking into that situation. With the Lord’s blessing and an obedient heart, David did just that. The Bible study has been running for about a year and has even helped launch a pair of other Bible studies. “It’s been absolutely awesome. We have another group of people that come to my house, from all of that someone from my Sunday school class started their own Bible study six weeks ago. “Obedience is all it is, being obedient to our God, and it goes back to being obedient to what God told me to do in Bonton. I got a vision there of what can actually happen, if you’re obedient. “It may be crazy, it did not make sense to plant a garden in Bonton, that makes no sense, but God gave (BridgeBuilders Director of Urban Missions) Daron (Babcock) that vision and he was obedient to it and look what God’s done. It didn’t make sense when God told Abraham he was going to have a baby when he was 80, but that’s what makes God shine, He does things that make no sense.